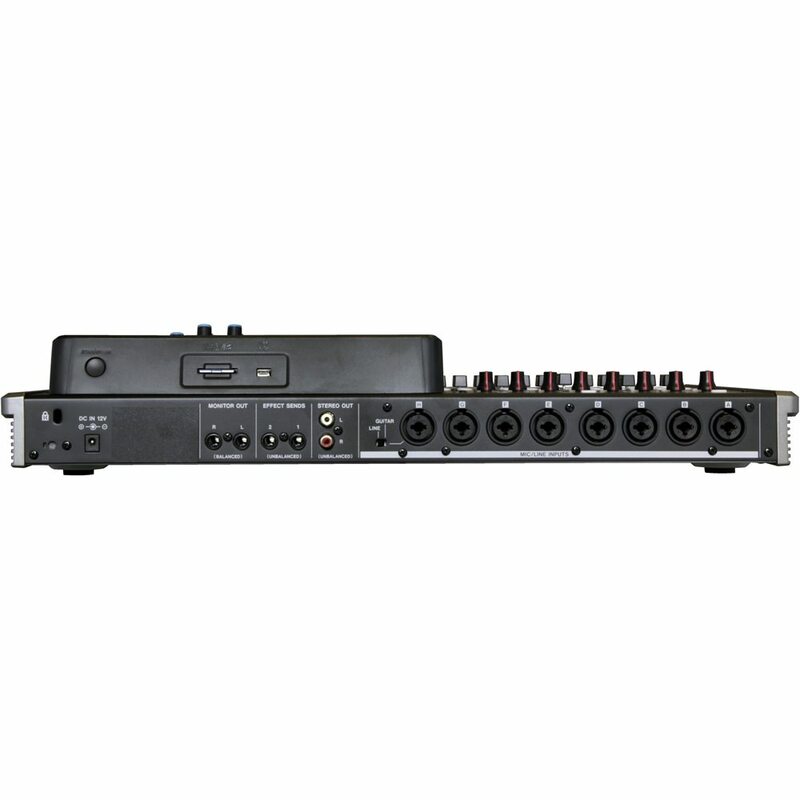 The Tascam DP-24SD Digital Portastudio is a 24-track workstation, allowing eight tracks of simltaneous recording. 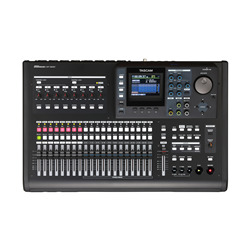 The Tascam DP-24SD Digital Portastudio is a 24-track workstation, allowing eight tracks of simltaneous recording. 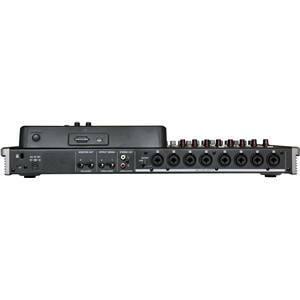 The built-in mixer includes everything you need for a professional-sounding mix, from EQ and reverb to amp simulation and multi-band mastering effects. 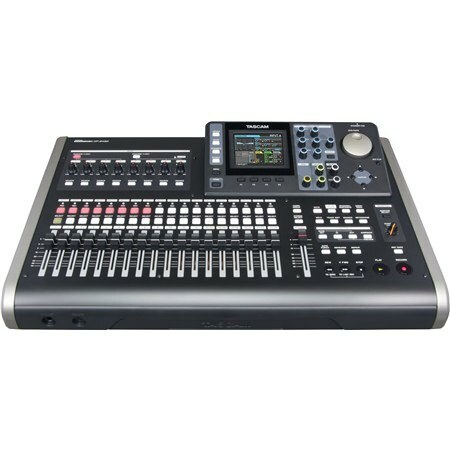 The Digital Portastudio series creates finished productions without the need for a computer, instead using a simple-to-use control surface to keep you creative. For clear display of your mix, the DP-24SD has a large color LCD displaying tracks, meters, and effects parameters. A set of 12 encoders control EQ, effects sends, and panning. Built-in effects include compression, guitar amp modeling, delay, reverb, with a total of 10 effects processors available during mixing.